Everybody loves a good show tune, but there are some people who are obsessed! If you need to find the perfect gift for the theater-lover in your life, look no further than these 11 awesome finds! 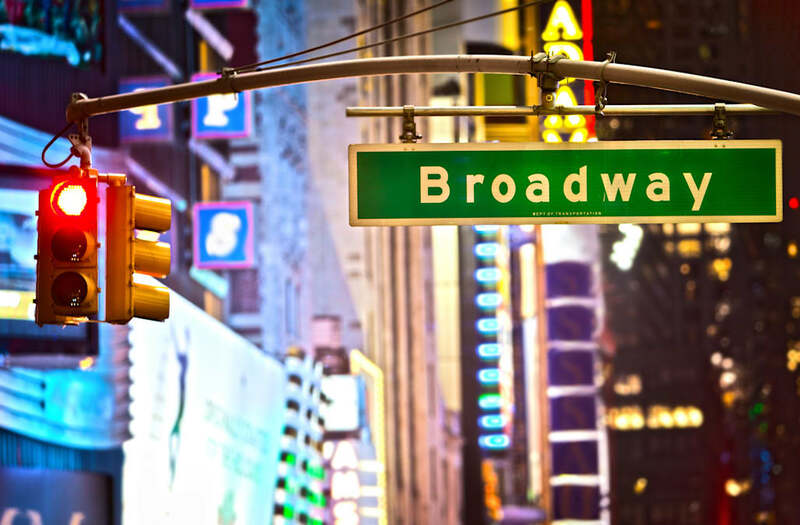 From broadway tickets to board games and apparel, shop these gifts below. Ticketliquidator.com has the best theater tickets at great prices! For more gift ideas, check out our gift guide collection here! This 3D surround sound speaker features an amazing LED light visual effect. It pairs easily with all bluetooth devices and and is the ideal gift for the music-obsessed person in your life. These chic little buds provide high-fidelity stereo music for a great price! The long lasting battery life with standby time up to 200 hours will make the best gift for the music lover on the go. This AC/DC shirt is a great vintage replica of the original tour merchandise from the epic Australian rock band. This bohemian fashion Barbie is for the ultimate festival goer or the young aspiring musician. These built-in amplifier speakers bring vivid, bright and clear sounds while maintaining modern look. The design makes 4 different color led light and fountain showing at the same time when the music is playing. This amazing turntable is modeled after the 1960s British Dansette. It features a lid and handle for portability, along with match legs to add to your home decor. Any music lover loves to accent their home in their passion. This inspirational music quote pillow can be customized and comes in different sizes! Pair with your Bluetooth device and play your music from a 30 foot range. For the up and coming musician in your life, this little "Band in a Box" set is a perfect starter set. The kit includes a tambourine, cymbals, maracas, a clacker, tone blocks and a triangle. These little whimsical socks are a great stocking stuffer for the music lover in your life. You can even buy and save by purchasing 3 pairs for $24. This relaxed fit tee featuring the iconic Rolling Stones logo isa gift any die-hard music fan would love. This mini piano set makes an elegant addition to any home. Give the aspiring artist in your life a chance to practice and experiment until they get big enough to upgrade to a master grand piano! This sleek and compact speaker features a sound loud enough to have a party but small enough to fit in your pocket! This gadget will let you take the party with you wherever you go. The lightweight and portable karaoke machine can connect to your TV and play your favorite music for hours of an at home concert. This American rock band is still relevant today with their recent entry to the Rock and Roll Hall of Fame. This super chic tee will be perfect for any music lover that loves style!